While most Nigerian artists tend to team up with C-listers (at best) when it comes to international collaborations, Wizkid has been fortunate enough to steadily work with the best international artist like Drake and Lil Wayne, just to name a few. Now, the Afro pop singer has revealed that he has an upcoming collaboration with the undisputed queen of hip-hop, Nicki Minaj. 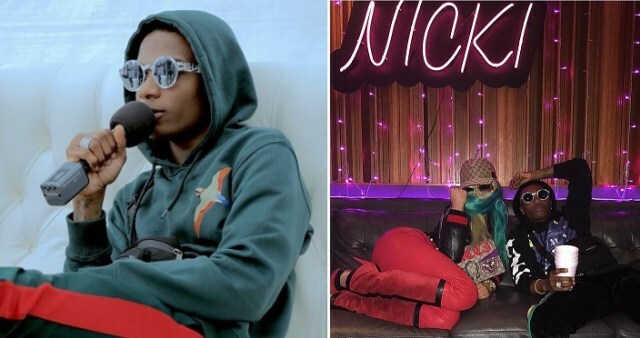 Though we are not sure if what we are getting is a Nicki Minaj song with a attractive Wizkid chorus or a Wizkid song with a killer Nicki Minaj verse, we can be sure that what we do get will be a bop either way. Let’s just hope it doesn’t take forever before we get to hear it!